Innisfree’s best selling serum containing organic Jeju green tea and green tea seeds that hydrate your skin from deep within. 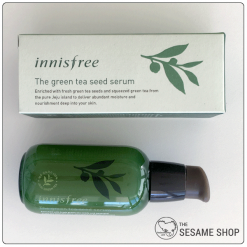 Innisfree’s best seller!! 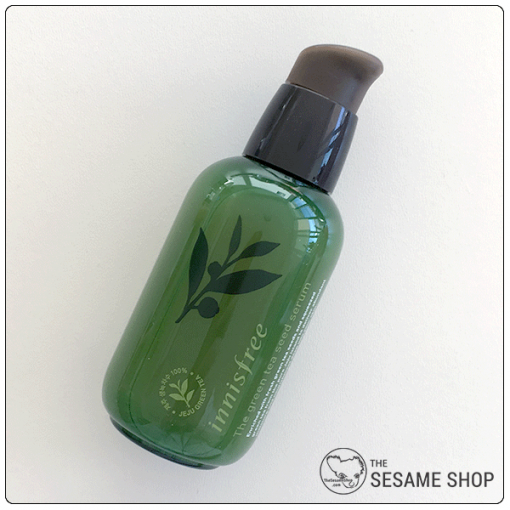 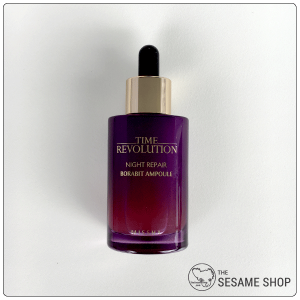 The Green Tea Seed Serum is made with organic Jeju green tea and green tea seeds that hydrate your skin from deep within. 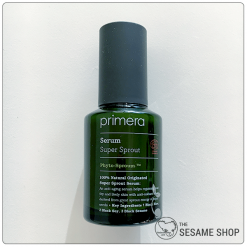 It is rich in amino acids and minerals giving your skin its needed nutrients. 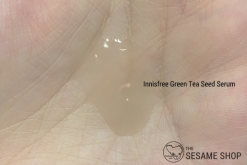 Green tea’s naturally occurring antioxidants helps fight radicals in the atmosphere and prevent premature of your skin. 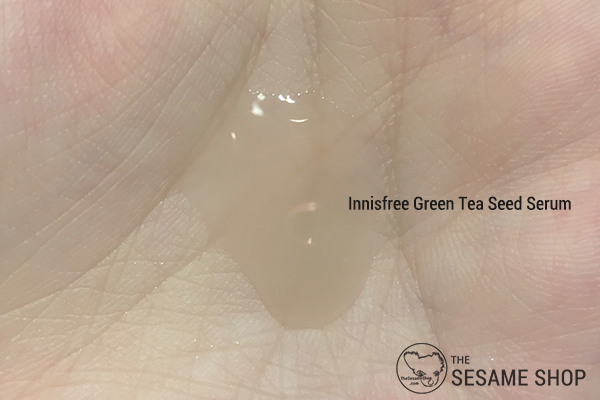 It contains both green tea extract and green tea seed oil with Innisfree’s trademark “Dual Moisture-Rising Technology“, where the fresh green tea deeply hydrates your skin and the green tea seed oil creates a strong moisture barrier to keep your skin moisturised longer. 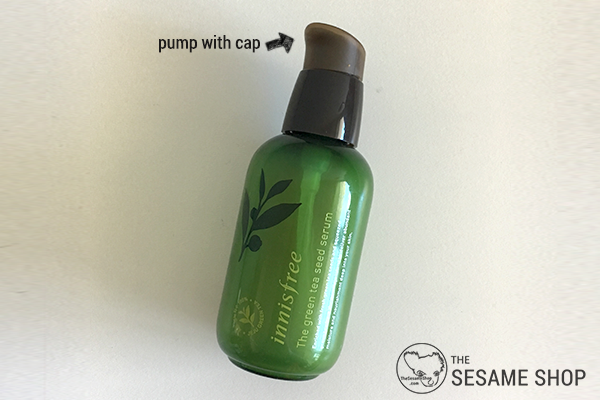 This product belongs to Innisfree’s 5 free system, which is free of parabens, synthetic colorants, mineral oil, animal-originated ingredients and imdazolidinyl urea. 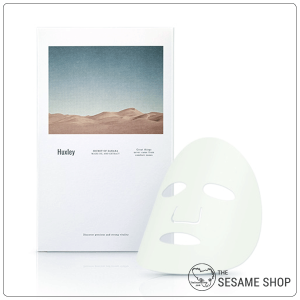 You are meant to apply this as soon as you have cleansed your face. Use with other products in The Green Tea Seed range for optimum results. 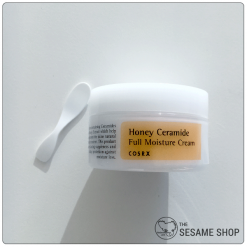 Apply this on cleansed face and neck. 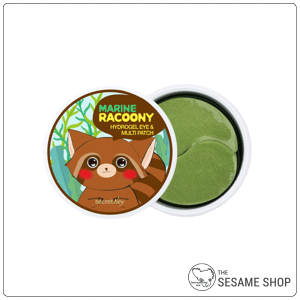 Pat gently to absorb.